Enhance Your Natural Beauty With Johnson & Johnson ACUVUE® DEFINE™ . Recently I collaborated with Acuvue, a brand I’m pretty close to considering for the past nine years I have worn 1-Day Acuvue Moist contact lenses to enhance my visibility so when they asked if I’d be interested in trialing their 1 -Day Acuvue Define contact lenses I jumped at the chance. 1 – Day Acuvue Define contact lenses are designed to enhance your natural beauty, with having really bright blue eyes naturally I was intrigued to see what both the effects of the Acuvue Define Shimmer and the Acuvue Define Sparkle would be. 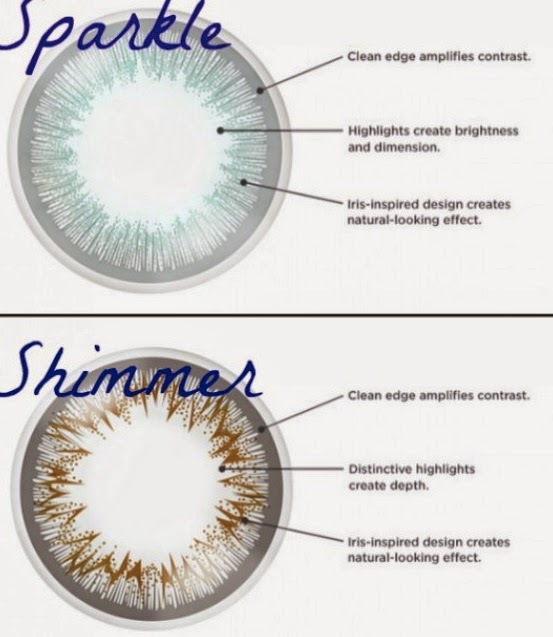 Acuvue Define Sparkle are made with the intention of making a lighter eye more dazzling or sparkling as it be and Acuvue Define Shimmer are made with the intention of giving definition to the naturally darker eyes (browns etc). In simple terms, Acuvue Define make the white of your eye look whiter and the colour look more prominent and radiant. Upon my fitting at the opticians I tried one of each and instantly thought my preference was toward the Acuvue Define Sparkle, however I think this was because I fear too much drastic change to my look and felt the darker change altered my confidence, how wrong could I be…. it was just a change. The longer I wore the lenses the more indecisive I became as to which I preferred, Sparkle or Shimmer, hmmm decisions, decisions…. only the next couple of weeks trial could determine which I preferred. Knowing that during my Acuvue fitting I had initially liked the Acuvue Define sparkle lens I decided to trail those first, the response I got from friends and even just passers by was incredible, I had numerous people question what colour my eyes actually are. “What colour are your eyes, are they blue, green or aqua” one guy asked following with a compliment. I wore these lenses for a full weekend on a friends hen weekend in London recently and following copious amounts of prosecco, early mornings and late nights, only three things helped me feel more awake again and that was three simple things a cup of green tea, my ‘Yes’ cucumber moisturiser and a fresh set of Acuvue define to pull my eyes out of the deep bags they seemed to have packed in my sleep. Even the most tiredest of eyes seemed to instantly feel more awoken by the simple definition the lenses gave my eyes. Below, can you tell which eye has the Acuvue Define Sparkle lens in? Remember I felt the eye felt and photoed like I was more wide awake than without the lenses. Following my initial hesitation on my look with the Acuvue Shimmer lens I soon saw my confidence and opinion change towards them, so much so that I now can’t decide which are my favourite look, the Sparkle or the Shimmer. I think I would buy both in the future and wear according to my mood and where I was heading that day, some have even suggested I kept the Sparkle as a day lens and the Shimmer as my night lens. My eyes are my main feature that I pride myself on and so I guess there was going to be no bigger critic than myself on these beauty enhancing lenses but I feel so much more wide awake, confident and alert wearing my Acuvue Define lenses. Which look do you prefer on me? The Sparkle or the Shimmer? Acuvue Define will have a different effect on each person as your eye is very individual and like your finger print, unique to only you. The lenses are presently only available via prescription. If you too would like to get fitted for your free trial of Acuvue Define, check out their website by clicking here to see where your nearest Acuvue opticians representative is. The way I define the word beauty isn’t just from the outside, how someone looks, I feel real beauty comes from within, a kind warm heart and personality, if you haven’t got those qualities then the exterior can become quite an ugly view. But for beauty, in the sense of how someone looks I think it tends to be more the naturally made up girls than the girls with false eye lashes, and thick amounts of make up that I would class as pretty or beautiful. Natural beauty is the best kind of all. YSL fusion foundation, this foundation almost gives an air brushed look to the skin. I asked four friends two questions, the four girls each have different make up routines and each go for a different look to one another for enhancing their natural beauty. See what these four very different beauties had to say below on how they enhance their natural beauty and how they describe beauty. GEMMA LOUISE 1. How would you define the word beauty? A natural, effortless way of looking good. 2. What are your go to methods, fitness, treatments and products etc to help you enhance your natural beauty? Fitness Treatments: Swimming, Spinning, Tennis, Horse Riding, Mat Pilate’s. Products: Helena Rubinstein colour clone foundation Serum for under the eye by an Israeli brand called ‘Jade’ Lancome hydra zen moisturiser Bronzer by ‘Tarte’ Urban Decay eye liner Max Factor Mascara Bobbi Brown blusher Trish McEvoy lip pencil and lip gloss I couldn’t live without my foundation or under eye concealer by ‘Clay De Peu”, Kim Kardashian uses it too. I also love Clinique’s flash balm cream, Sisley’s face cream is also a good one too. Top Tip: Get plenty of rest, this helps towards a more natural glow. Disclosure: Compensation was provided by Johnson & Johnson Acuvue via Mode Media. The opinions expressed herein are those of the author and are not indicative of the opinions or positions of Johnson & Johnson Acuvue.